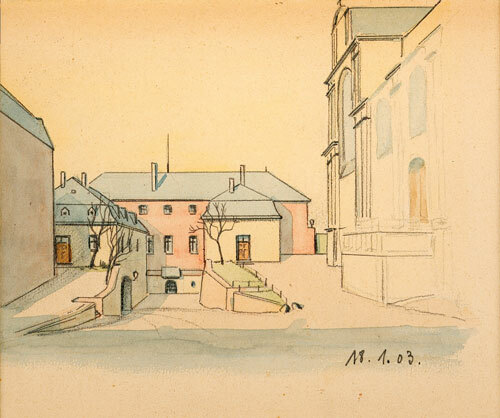 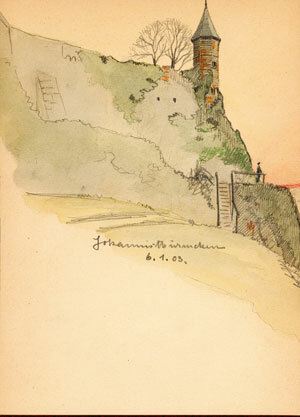 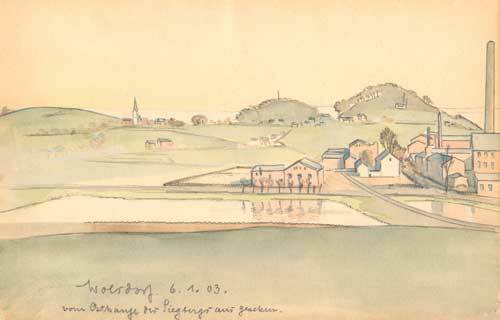 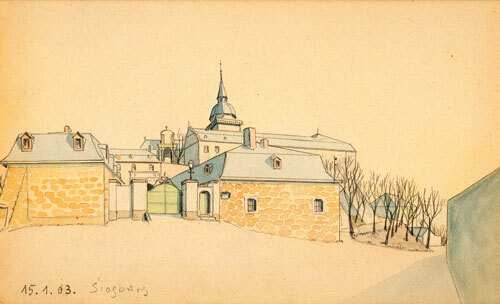 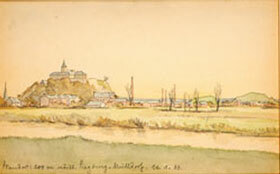 The first virtual exhibition in the Siegburger InterNet gallery shows 10 aquarellierte pencil sketches, which Carl von Ledebur painted in the year 1903 with a short stay in victory castle. 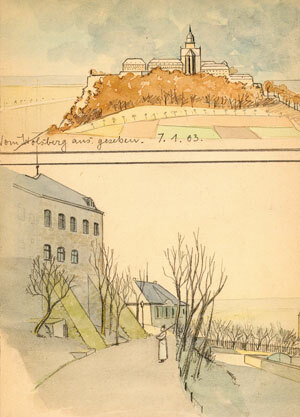 Apart from usual motives like the Johannistuermchen and the abbey with view of the bridging mountain, a precise design of the railway bridge in Buisdorf, interesting of views of Wolsdorf, as well as several detailed studies of the abbey buildings are expressed in the sketches. 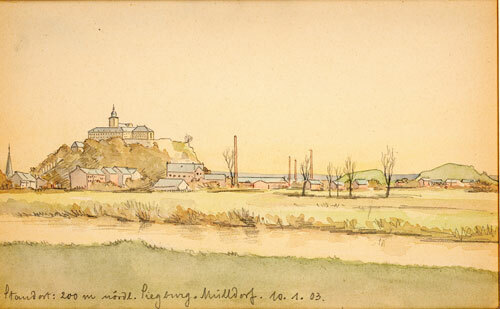 On one an awake soldier is to be recognized, to that to the personnel of the penintentiary insisting at that time on the Michaelsberg belonged. 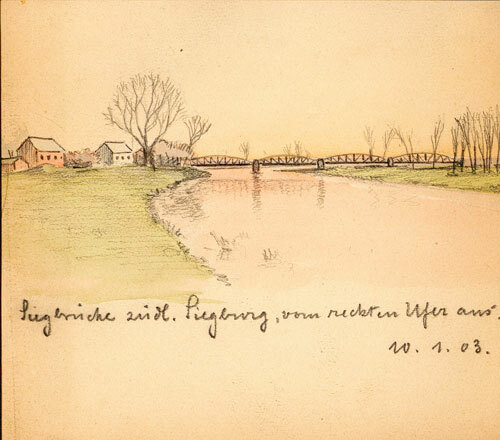 Carl von Ledebur was born 1865 in Westphalia and died 1922 in potsdam. 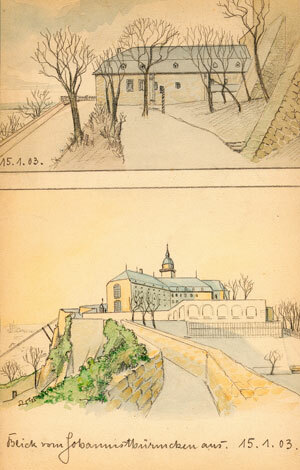 The sketches can be regarded in the original in the entrance hall of the museum.